With every speaker as good as the next, JournoFest 2017 was a massive success. News Associates trainees and alumni were treated to a day of panels and speakers with some of the most notable names in journalism on Saturday, May 13. 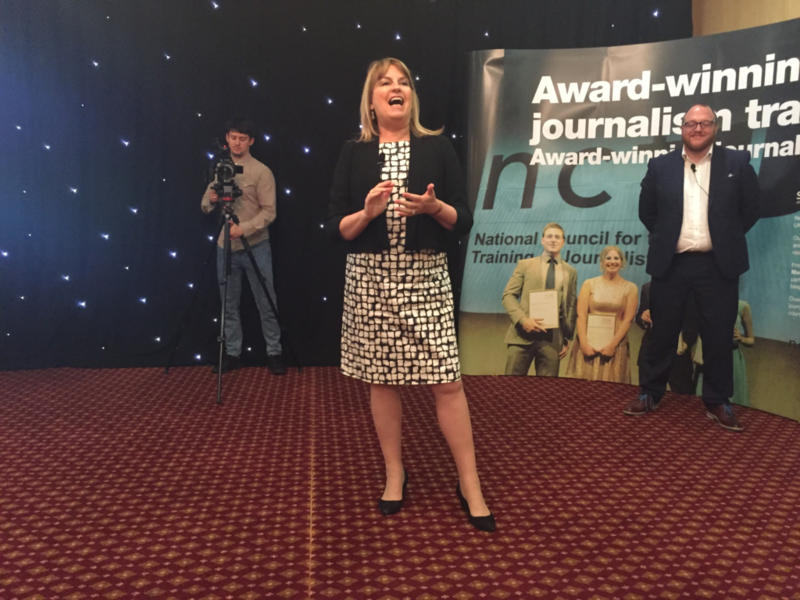 Keynote speaker former BBC News anchor Maxine Mawhinney left our trainees in awe as she described her phenomenally successful journalism career. 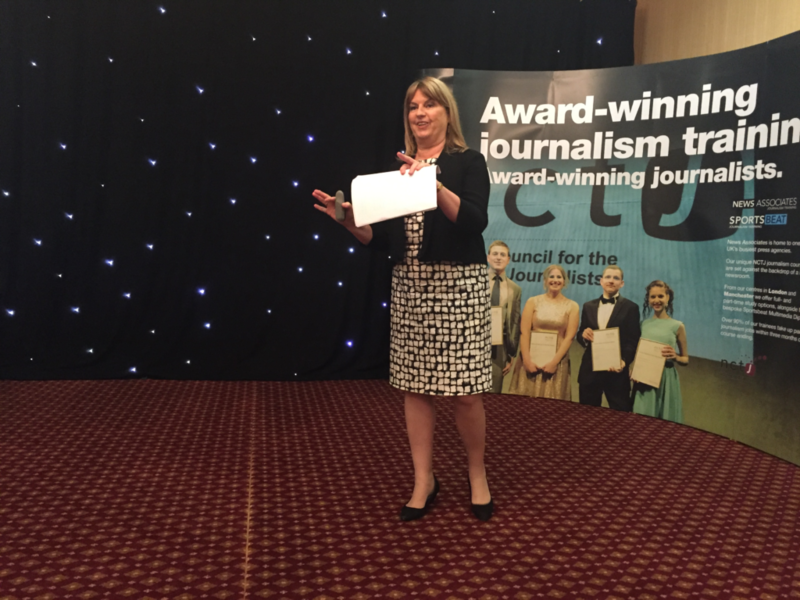 The BBC News veteran spoke fondly of the NCTJ, saying she still uses the skills learnt on the course in her career today. From her live coverage of the death of Princess Diana to reporting on Bill Clinton’s presidency from Washington, Maxine described how her career took her around the world – and mostly without the internet. Maxine had buckets of advice for the young journalists in the room, she said : “Keep to the facts, no speculation. It will never let you down. From one BBC to legend to another, next up on stage we were in conversation with Dan Roan. 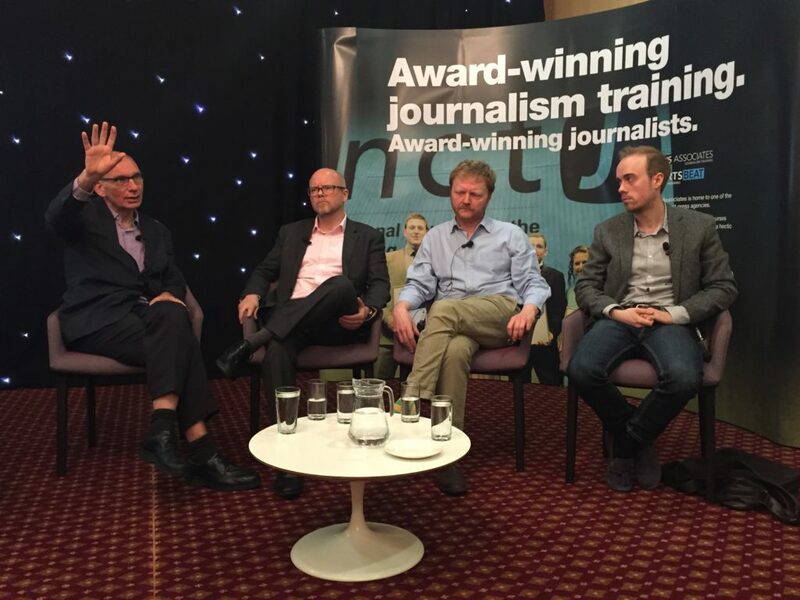 The BBC sport editor spoke about how mainstream sport has become in the last decade. “We’re the lead story on the 10 o’clock news more than I could ever have imagined,” he said. Dan spoke about the alleged scandals at British Cycling, the International Olympic Committee and FIFA. 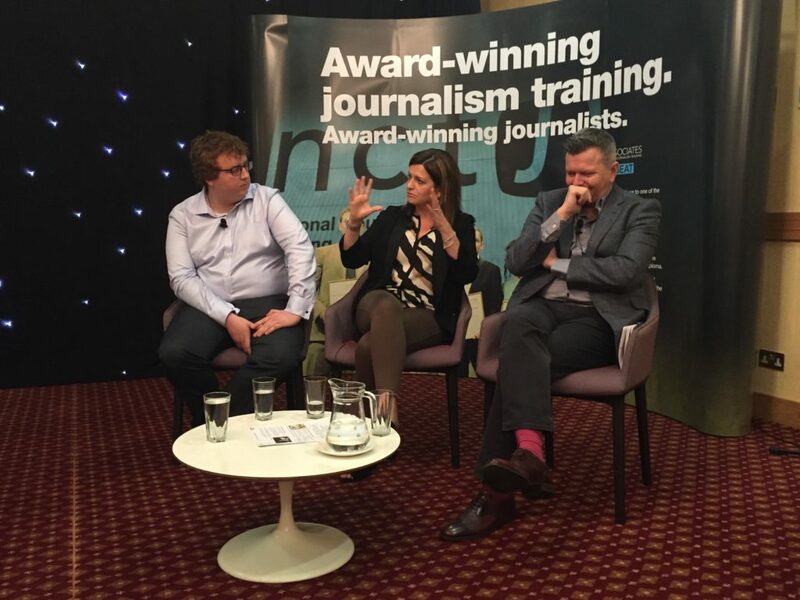 Our first panel of the day was titled ‘Investigative journalism: Why slow news matters’ and sitting on it we had BuzzFeed investigative reporter Jane Bradley, Bureau of Investigative Journalism investigations editor Meirion Jones and Matt Burgess of Wired and the FOI Directory. It wasn’t long before our panel were onto the topic of fake news. 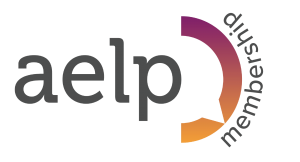 “I believe in facts, figures, photographs and footprints,” said Meirion. A point that was echoed by the rest of panel. Despite describing investigative journalism as being ‘like you’re swimming upstream’ and you need to ‘put in mad hours if you want to make it’ our panel did say that journalism is more open that it has ever been and they had lots of top tips. 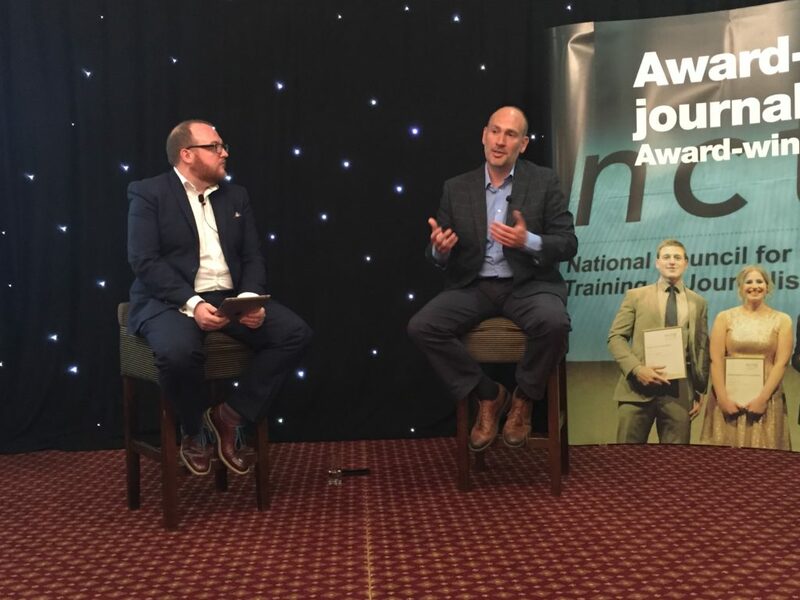 Next up on the JournoFest stage we had photographer Jamie Lorriman, The Guardian homepage editor Claire Daly and ITV evening news editor Richard Frediani for our ‘The anatomy of a news story: When terrorists strike’ segment. The conversation kicked off with the panel discussing Channel 4 incorrectly naming the Westminster terrorism suspect. This was reiterated by Claire who said: “I don’t care if I’m five or ten seconds slower if it means I get it right. To which Claire said: “If you’re jumping on the fear, you’re doing the terrorists job for them. Starring on our political journalism panel we had The Spectator associate editor Toby Young, The Observer columnist Nick Cohen, Guido Fawkes news editor Alex Wickham and former advisor to Gordon Brown and Ed Miliband, Lord Stewart Wood. The panel all agreed that the events of the last couple of years have made more people interested in political journalism. And there were chuckles when Toby brought up Diane Abbott’s recent catastrophic interview on LBC. 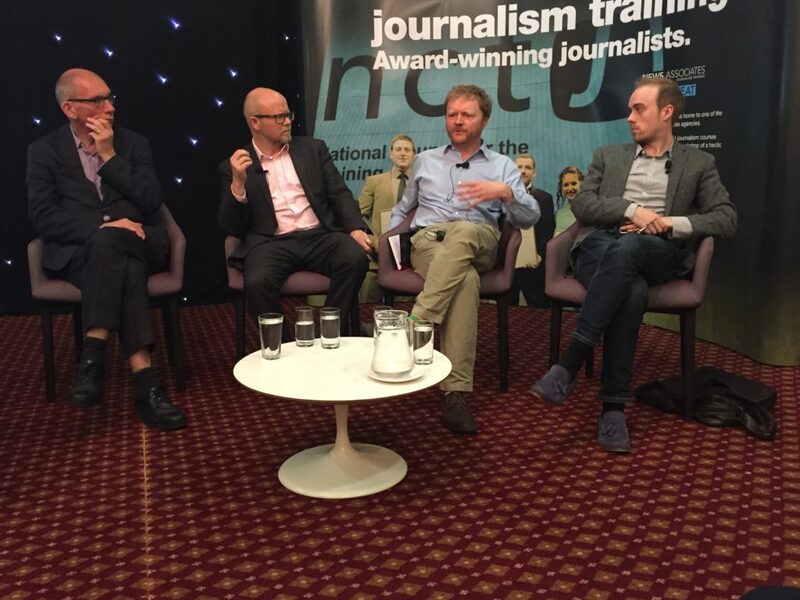 Our panel then discussed TV debates, broadcast impartiality rules and long-form journalism. 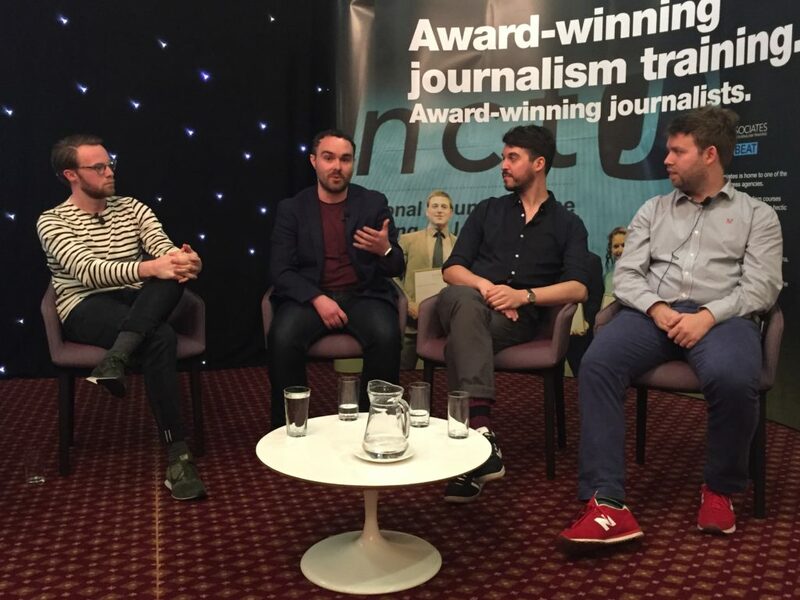 And last, but by no means least, was our ‘Social media and the digital age’ panel with Channel 4 News digital editor Jon Laurence, former head of social media at Joe.co.uk Mike Wright, VICE head of social Olly Osborne and UNILAD editorial manager Ben Hayward. And that was a wrap for JournoFest 2017. Absolutely loved #JournoFest today, so inspired! Thanks @NewsAssociates for all the efforts to bring us this day. You’re all gems. Had so much fun at #Journofest today! Massive thanks to @AndrewGreaves84 and all the other @NewsAssociates for making it happen! 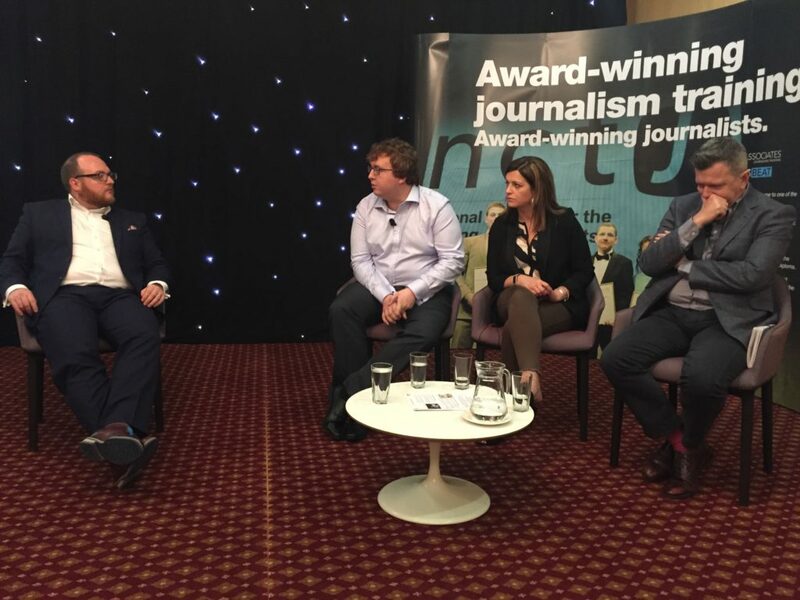 Final tweet about #JournoFest: thank you to @AndrewGreaves84 & @NewsAssociates for organising such a good event, speakers, and panellists! News Associates is officially the UK’s number one NCTJ journalism school and we are now interviewing for our fast-track, part-time and sports journalism courses starting in September and October in London and Manchester – apply here. Find out what else our trainees have been up to using the hashtag #TeamNA diaries. 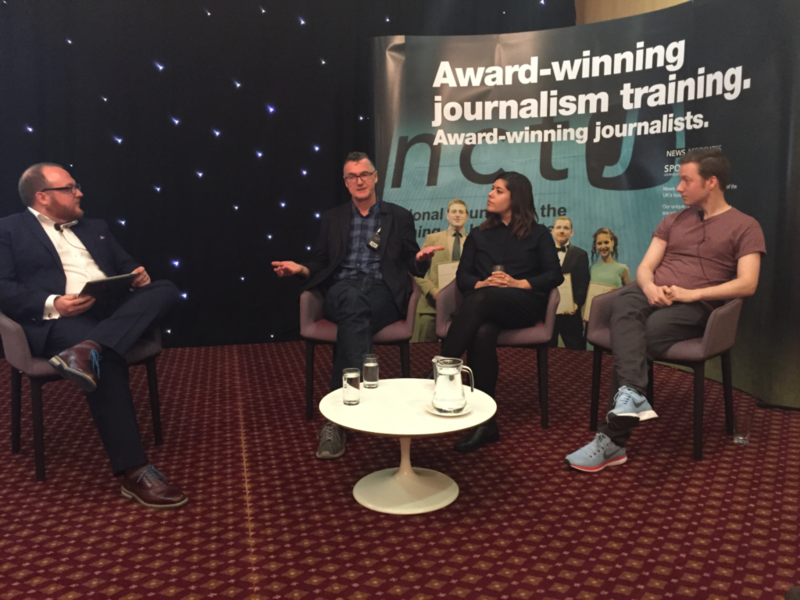 Full line-up revealed for News Associates JournoFest 2017	Manchester terror attack: How do you cover the biggest story to hit a city in two decades?